Maybe Blizzard should branch out, and make an Overwatch single-player game. Every element of his toolkit is done slightly better by someone else. Need a sniper to pick off healers? Widowmaker has greater mobility and her shots are hitscan, not projectiles. Want a frontline DPS? McCree and Soldier: 76 deal more consistent damage and have better support options. Want a scout to disrupt flanks and identify targets? Sombra can go invisible, run faster, and hack medkits. Blizzard have long been aware of Hanzo’s failings from a design point of view. Scatter Arrow, an ability that was originally designed for shooting around walls and in enclosed spaces, is used almost exclusively as a cheap one-shot kill. 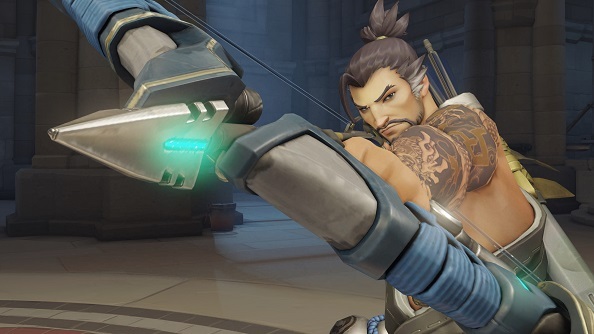 When asked about the possibility of removing the ability, Overwatch director Jeff Kaplan admitted that significant changes would be needed to make Hanzo viable without it. And significant changes have now come. 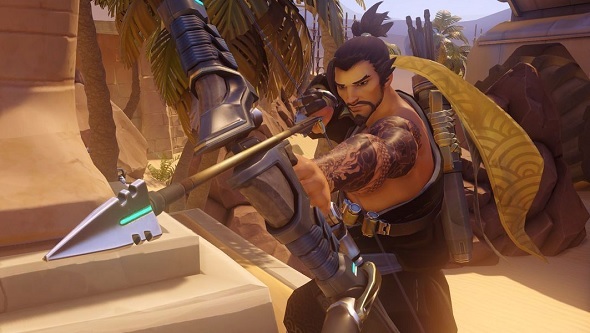 In yesterday’s patch, Hanzo’s Scatter Arrow was replaced with Storm Arrows, an ability that rapidly fires six arrows with lower damage but full distance. He also picked up a new mobility option: a midair horizontal dash. These changes will most likely address much of the frustration of playing against Hanzo, but does it make him a more viable pick in general? Well, not really. Blizzard wanted to avoid removing his only trump card, but they may have ended up doing just that. Storm Arrows has potentially higher DPS than Scatter Arrow, but requires sustained accuracy, ensuring that greater skill is required to get good results from Hanzo. This is good, of course, but it doesn’t change Hanzo’s fundamental problem: he doesn’t have a niche that he can perform in better than anyone else. He’s in the same niche as before, just with a less poorly-designed core ability and a slightly higher skill ceiling. He’s still not remotely viable in Competitive, and he’s probably less likely to be played in Quick Play due to the raised skill ceiling. With the redesign, Blizzard have turned a low-tier irritating character into just a low-tier character. So how can that be fixed? It’s difficult to say. Let’s be clear: the most recent changes are a good start, they remove reliance on Scatter Arrow while giving Hanzo some extra mobility to boot. But if Blizzard want Hanzo to be a viable pick in the long-term, a more drastic redesign might be necessary.